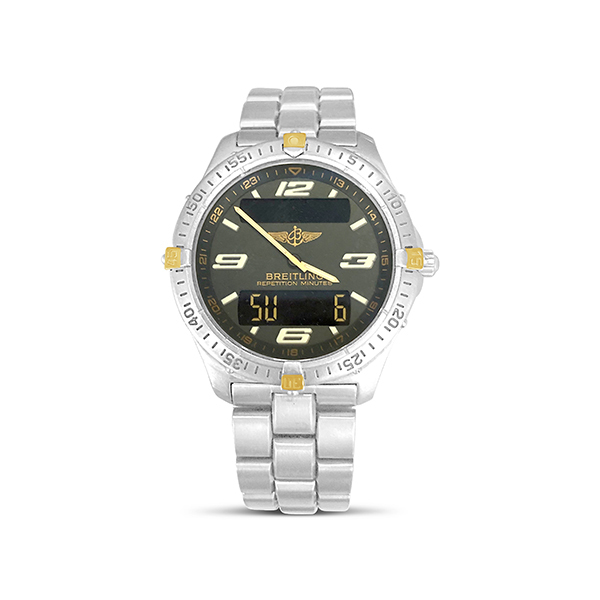 Titanium and 18kt yellow gold Breitling Aerospace watch with green dial. Reference number: F65062. Serial number: 153XX.